Jack in the Box, Series of 15 Mixed Media Works, Commission for City of Glasgow College, 2016. 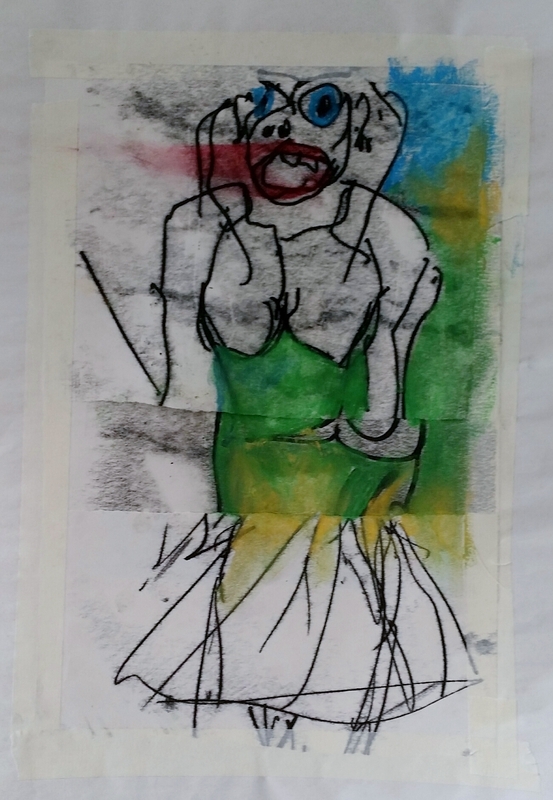 Women 1, 2015, Collaged Monoprint and Soft Pastel on Newsprint. 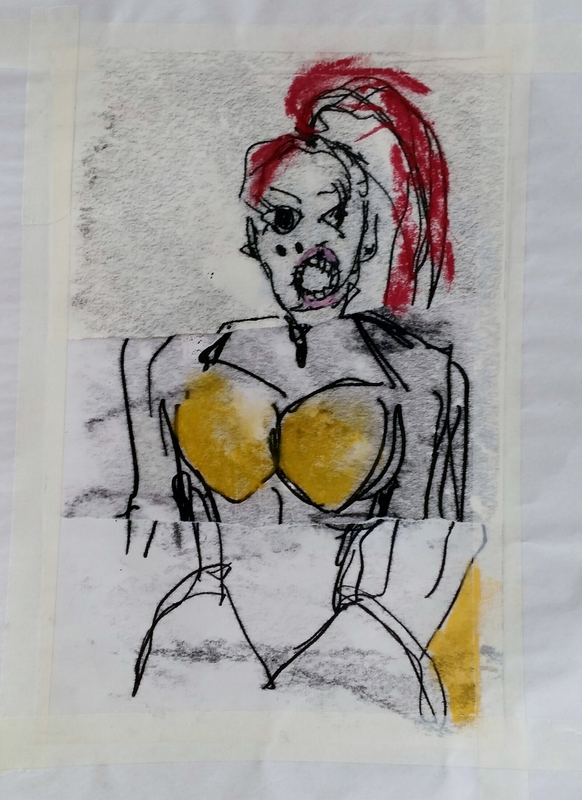 Women 2, 2015, Collaged Monoprint and Soft Pastel on Newsprint. 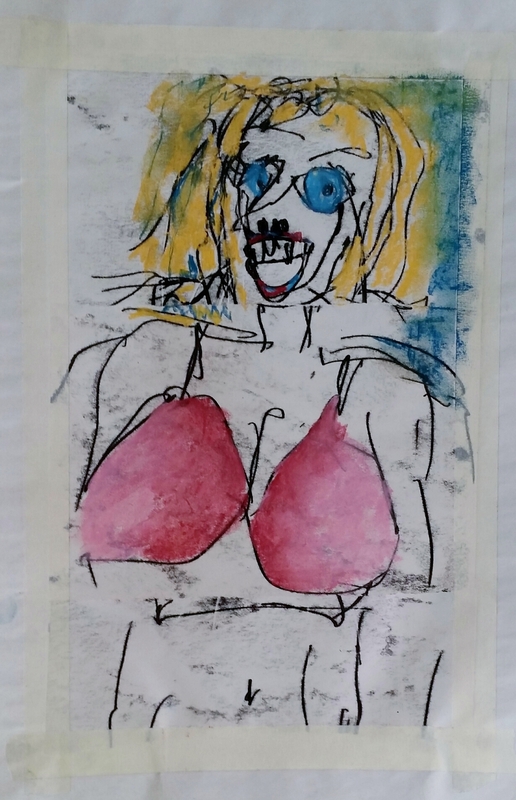 Women 3, 2015, Collaged Monoprint and Soft Pastel on Newsprint. 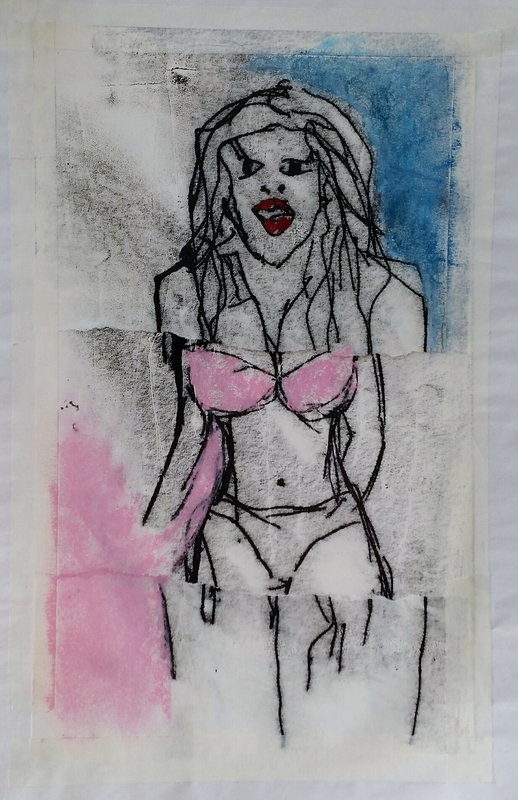 Women 4, 2015, Collaged Monoprint and Soft Pastel on Newsprint.